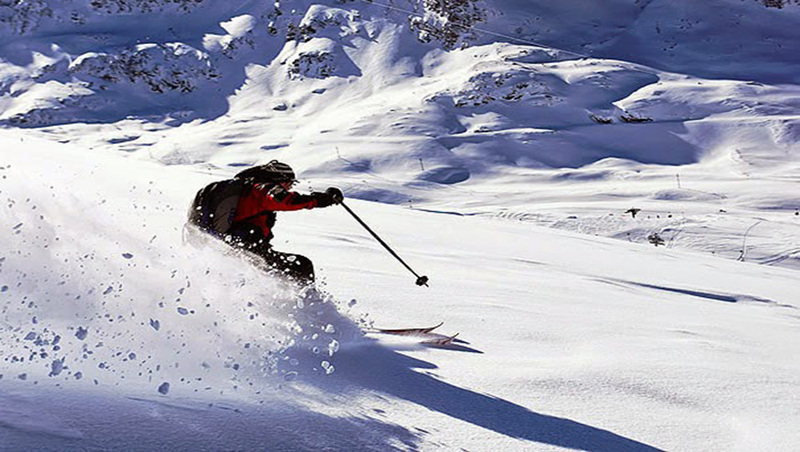 Auli is world famous destination for skiing. People also called Auli Bugyal. 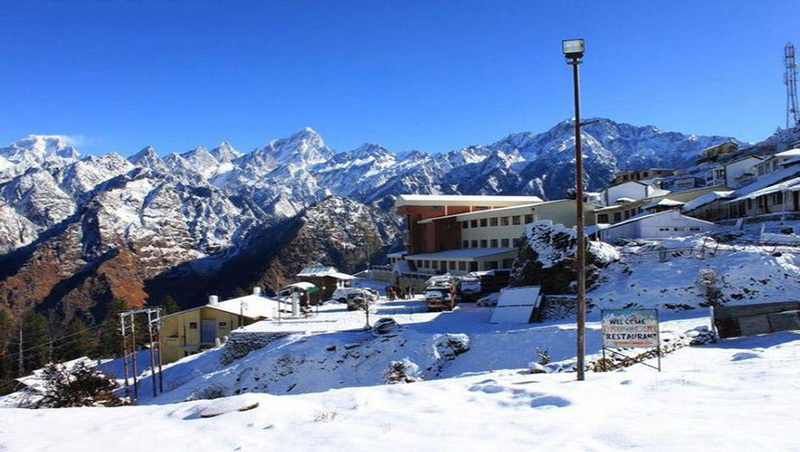 Best time for visit in Nov to march then you can enjoy snow fall in Auli.We guide you how to reach Auli, local sightseeing, & trekking, skiing, and weather and hotel in Auli. Auli is a best destination in Uttrakhand India. Auli is stuaited at the altitute of 2800 meters above the see lavel. Auli is like a home of of Nanda Devi, Mana Parvat and Kamat Kamet. There are many Pilgrimage site near the Auli. There is consider that Shankracharya had blessed Auli with his visit. 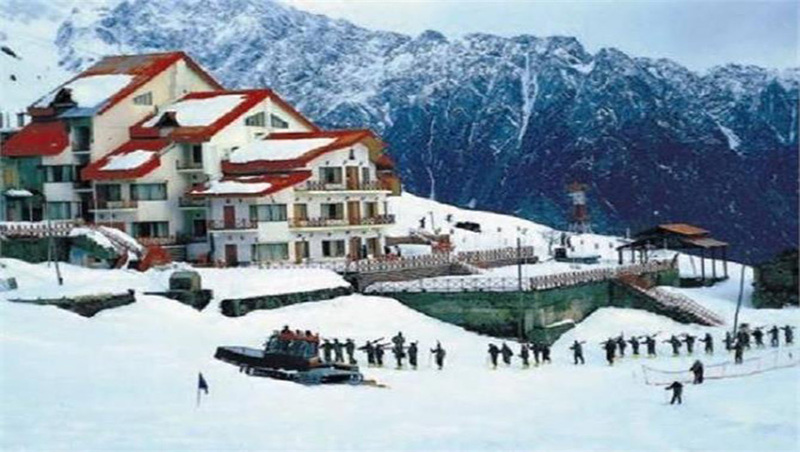 Uttrakhand is know as beauty of India and Auli is also the part of Uttrakhand so that Auli is the part of Uttrakhand. Auli is famous for its serene beauty and its environment. The considerable Guru Adi Shankaracharya is said to have tread on these fields. The sanctuary worked by him at Joshimath still exists. For many years, the beautiful semi-roaming tribes of the Bhotiyas, of the Mongolian stock, crossed the trails at Auli, privately called Thatauli. Their longhaired yaks, loaded down with a collection of merchandise, helped them in leading a thriving exchange with adjacent Tibet. Before Auli was created as a ski resort, its slants were the preparation ground for men of valor and fearlessness the ski-prepared men of the Indo-Tibetan Border Police Force. Among the wonderful, amazing pinnacles went round Auli, the 23,490-feet-high Trishul (strict significance, the strident of Lord Shiva) was the scene of a one of a kind campaign in 1958. The mountain dwellers took four days to climb the pinnacle and just a hour and a half to ski down to the base camp. Skiing is the best thing in Auli. Auli is know as a snow covered hill station Providing a very beautiful view of Mt Nanda DeviKamet, Mana Parwat, Dunagiri, Beethartoli, Nilkanth, Hathi Parbat, Ghori Parbat and Nar Parbat, is an ideal place for Skiing, covered with evergreen conifers and oak forest. The height of Gurso Bugyal is 3,056 m above the see lavel. Gurso Bugyal is a location from where you can see Nanda Devi, Trishul and Dron. That place is 3 km from Auli. Kwani Bugyal is a best palace in Auli. Kwani Bugyal height is 3380m above the see lavel. Kwani Bugyal is 12 km from Auli. June to September is best month to visite Auli. The minimum found and not all that went by Chenab Lake is justified regardless of a visit for the quiet and peaceful environment that it offers. The height of Trishul Peak is 7120 m abve the see lavel.The pinnacle can be best seen from Kausani or amid the Roopkund Trek. Summer time is the best time to visit Auli .The weather during the summer season are calm and pleasant .The temperature ranges between 7 to 20 degrees Celsius and this is best idea to skiing in that season. Monsoon is start from July to September Vacationers can visit Auli in Monsoons too. Valley of blossoms trek, which lies near Auli looks picture consummate amid the blustery season. Winter is also the best time to visit Auli. In Winter there is fully rainfall. The temperature ranges from -2 to 10 degrees Celsius. you can easly reach Auli by air ,Train and by road. Jolly Grant Airport is a nearest airport from Auli. Jolly Grant Airport is located in Dehradun. Auli is 279 km from Air port. Haridwar Railway station is nearest Railway station from Auli. The difference between Auli and Railway station is 273 km . From the railway station , taxis and buses are available in regular basis. Auli is well connected to all cities like Jammu , Delhi and Chandigarh.You can take regular buses from all cities.